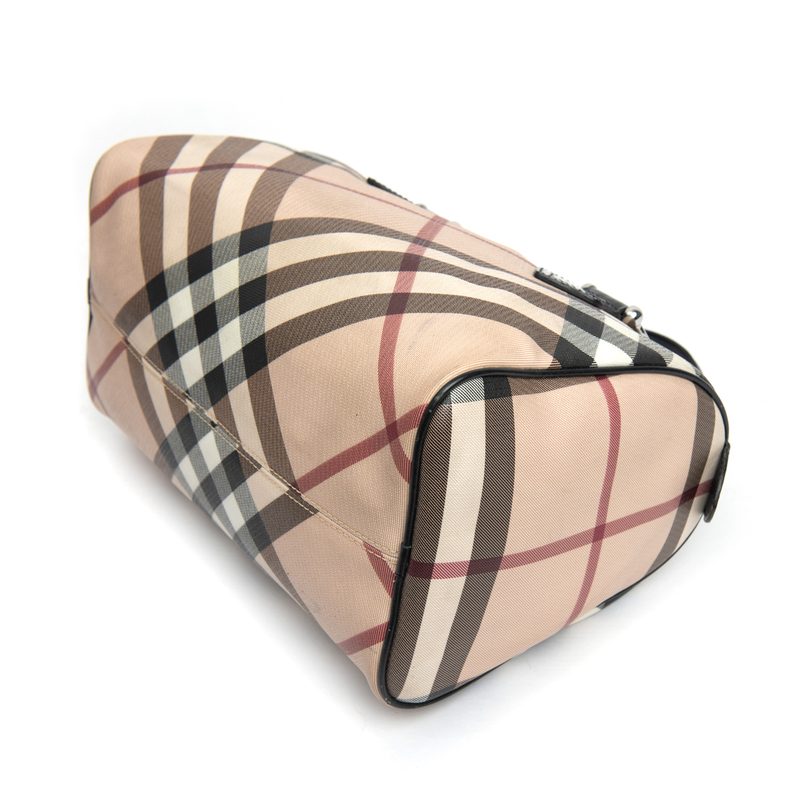 This stylish tote is crafted of Burberry Supernova check coated canvas. The bag features silver hardware and black patent leather details including rolled top handles, piping, and handle anchors. 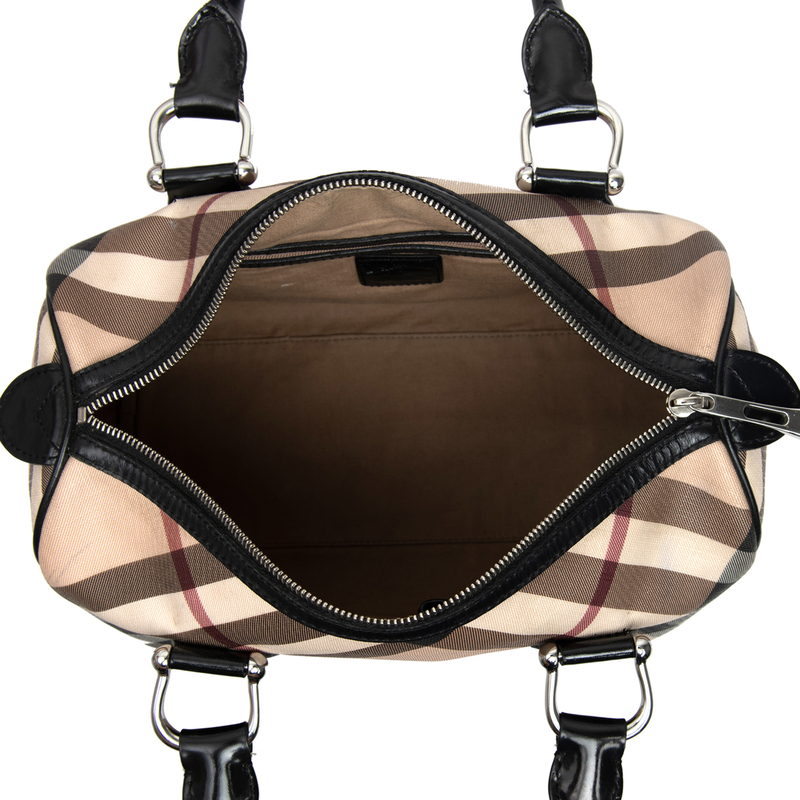 The top zipper opens to a beige fabric interior with a patch pocket. 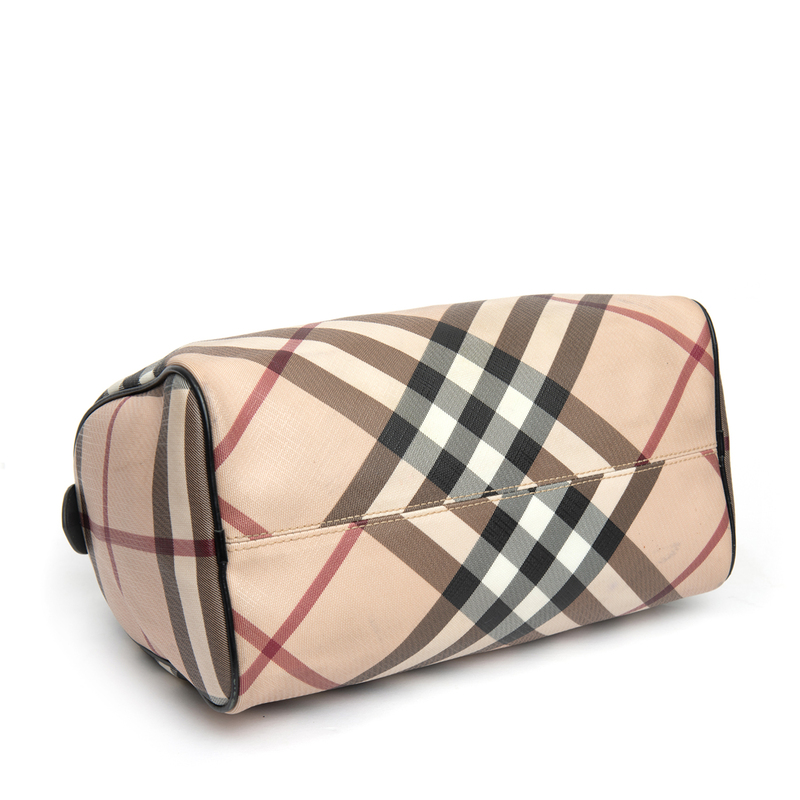 This is a perfect everyday handbag with the iconic style of Burberry! *This bag has been cleaned at the spa. Exterior: The coated canvas has stains/marks throughout. 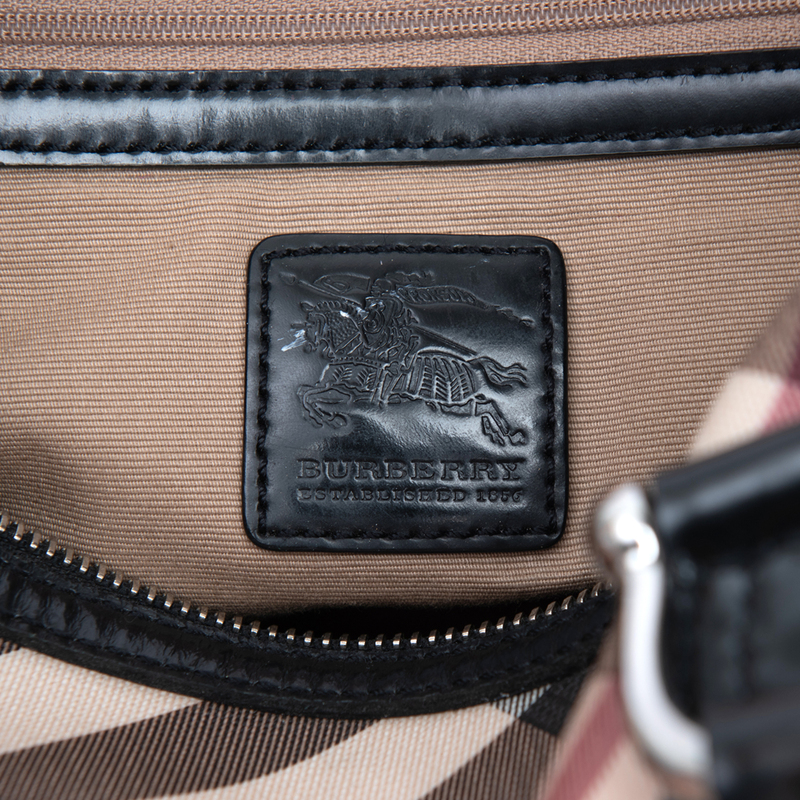 The black patent leather piping at the bottom corners of the bag is peeling. There are loose threads on the base of the handle. The underside of the handles have creasing in leather. The glazing on the handles has cracked/peeled. Interior: The interior fabric lining has stains, loose threads and soiling. Hardware: The silver-tone hardware has scratches.